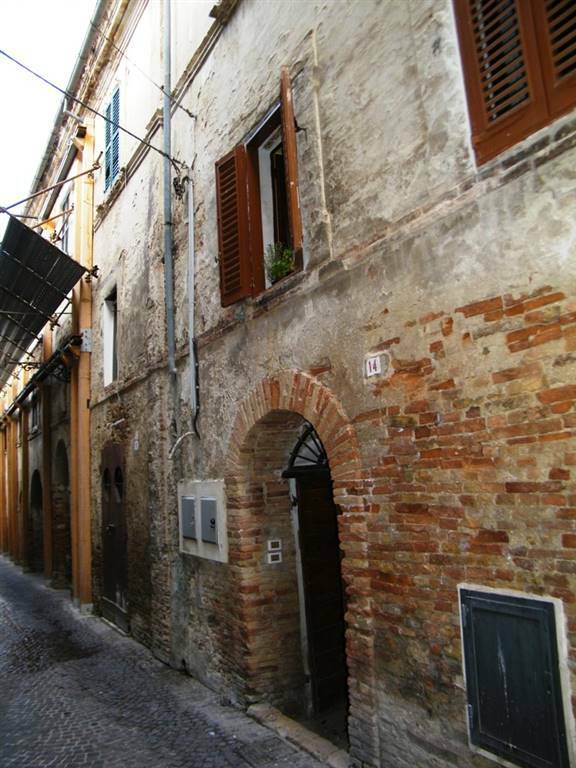 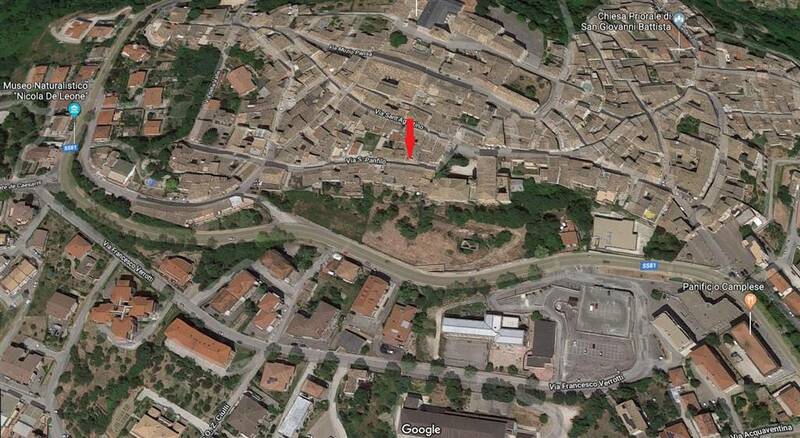 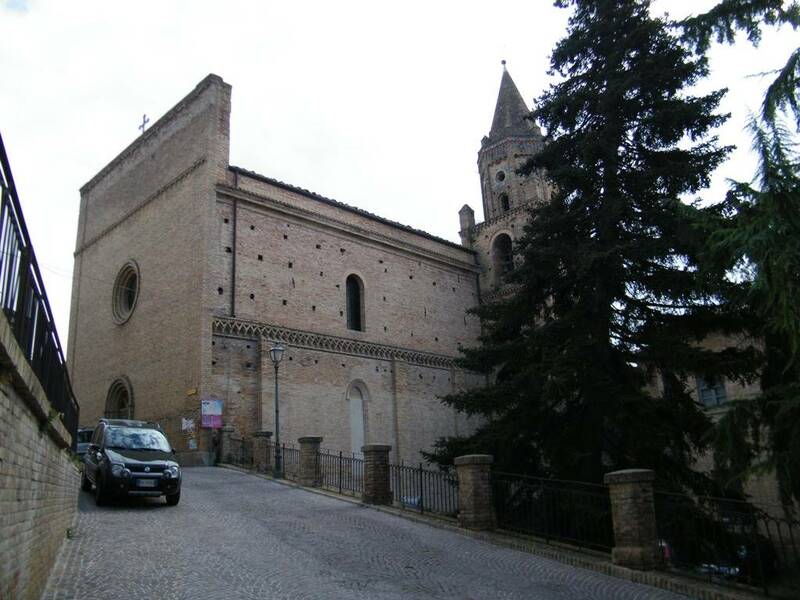 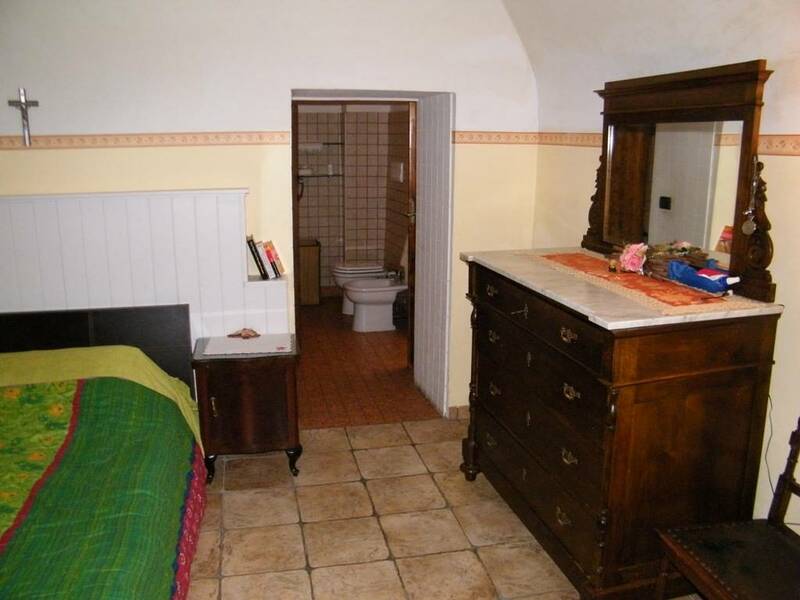 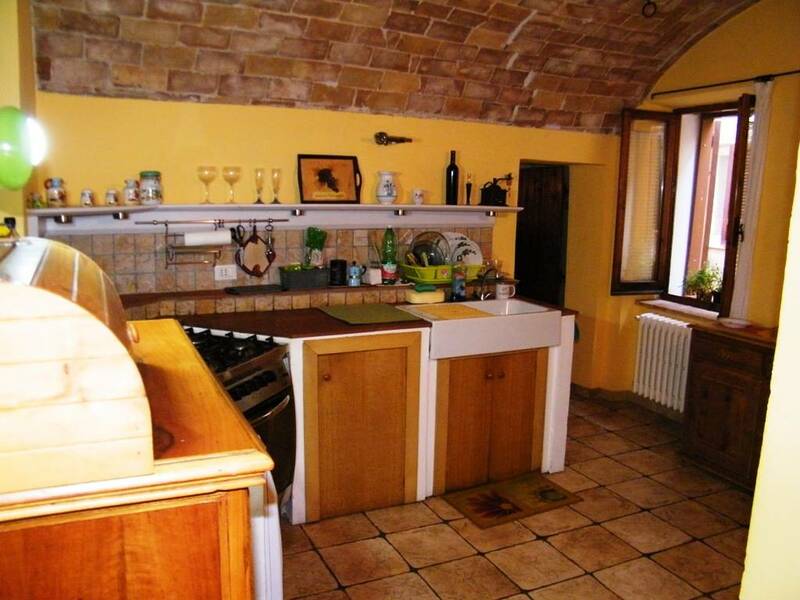 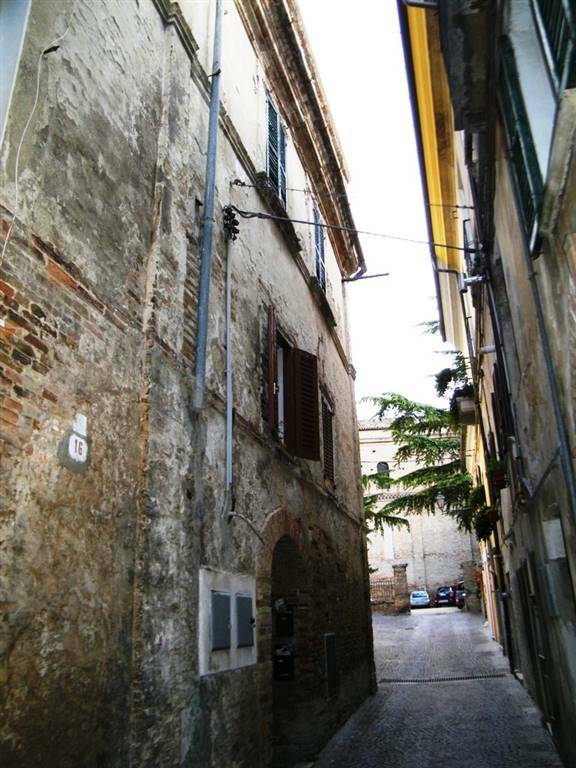 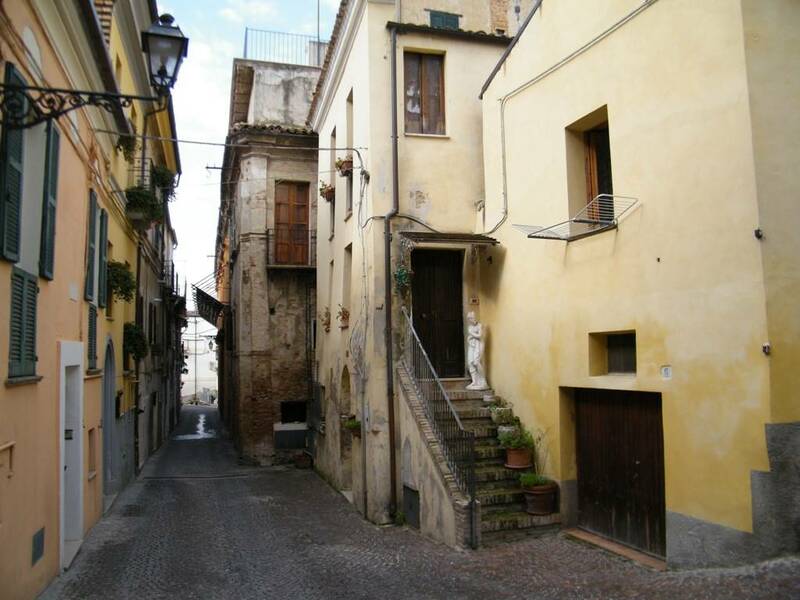 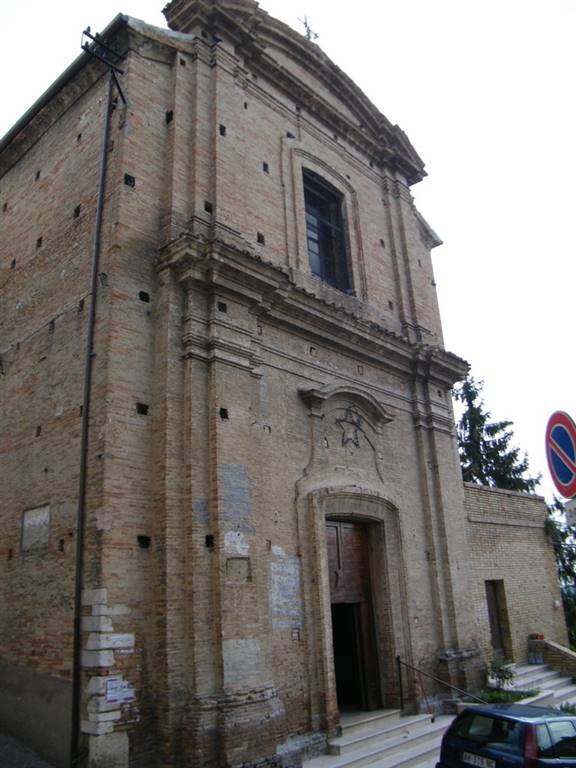 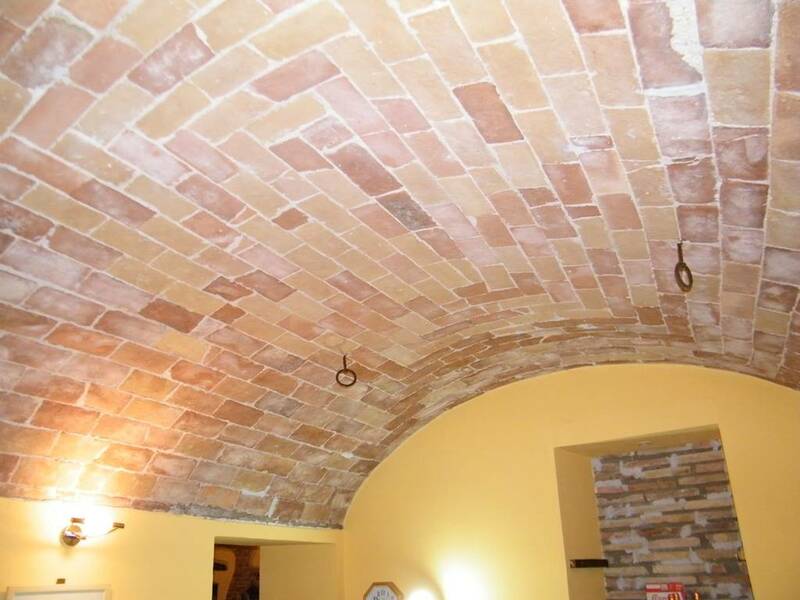 In the Comune of Penne, in the Pescara province, first floor single bed apartment of about 90 sqm., in an historical building, recently renovated for sale. 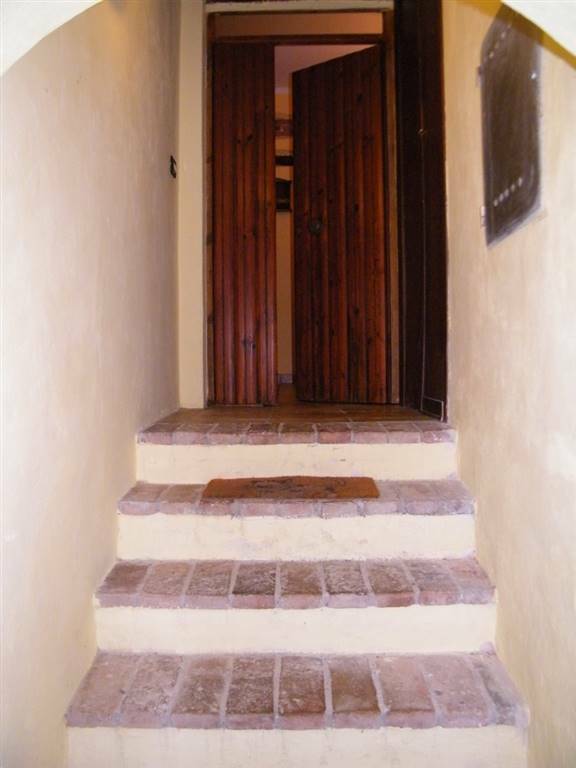 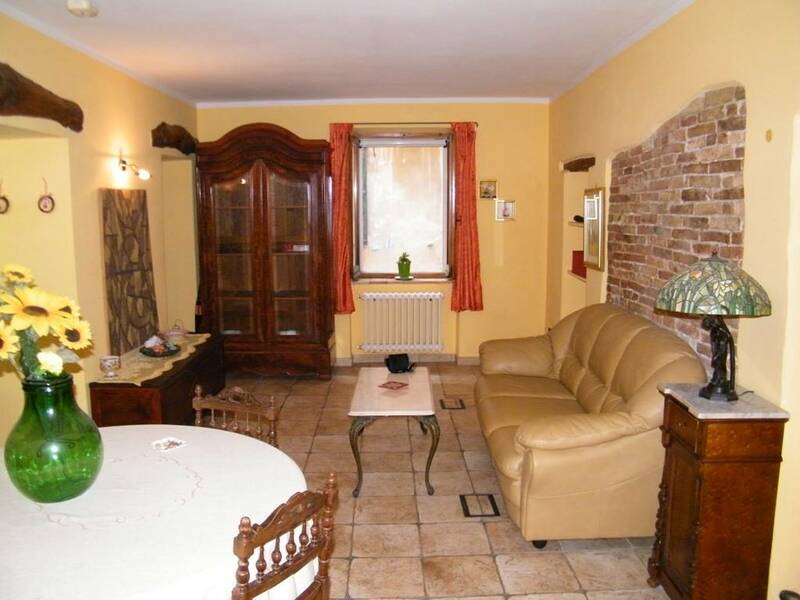 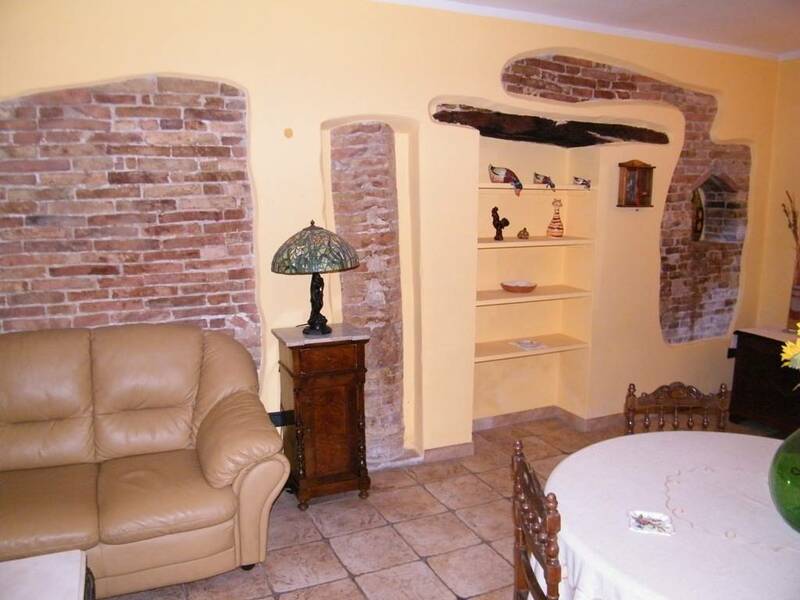 The property is located in the heart of the beautiful historic centre of the village, inside an ancient residence, built with full bricks typical of the area, with original architectonic features dating to the XVI century as the column at the entrance, the timbers and perimeter walls . 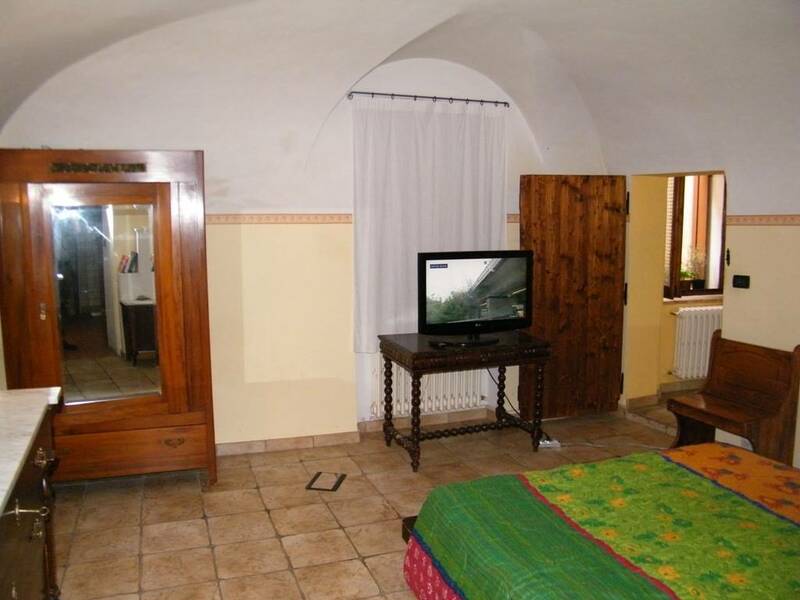 All the rooms of the apartment have vaulted ceilings, with exposed brick in the living area and in the kitchen and plastered in the bedroom and the bathroom. 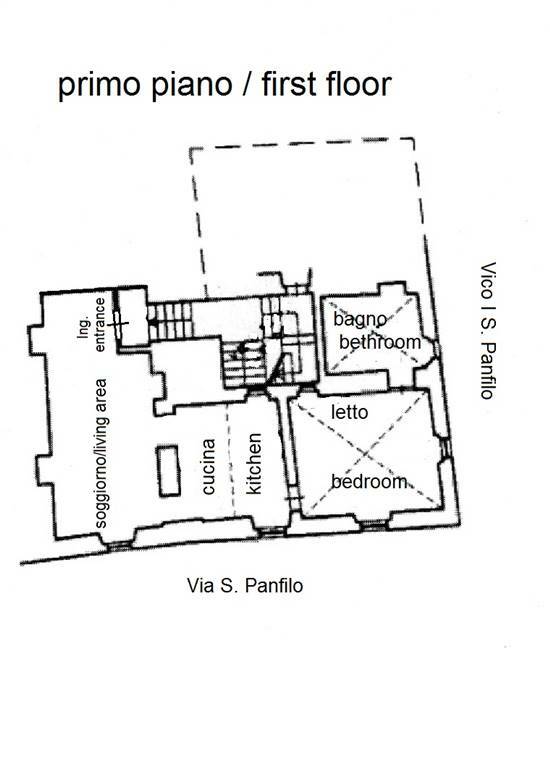 The entrance door to the apartment opens onto the large living area, connected to the kitchen, semi-habitable, from the kitchen is access to the bedroom of good size. 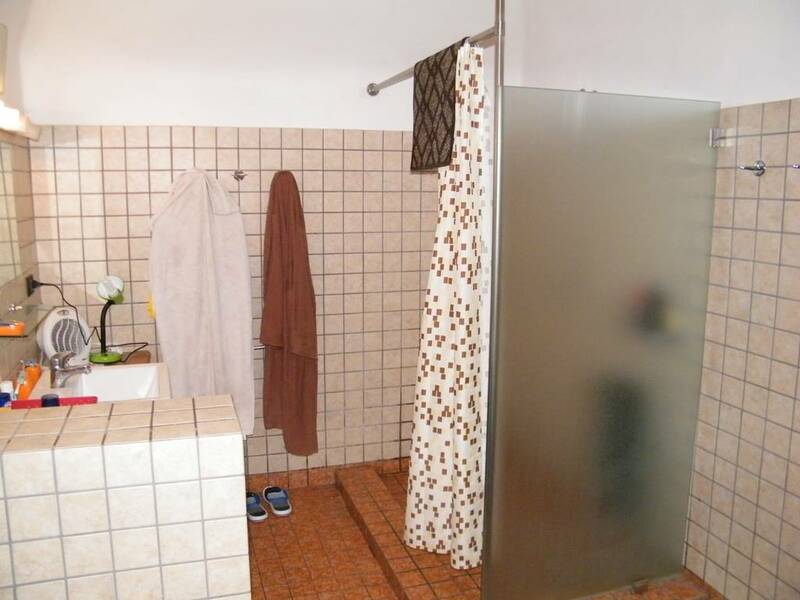 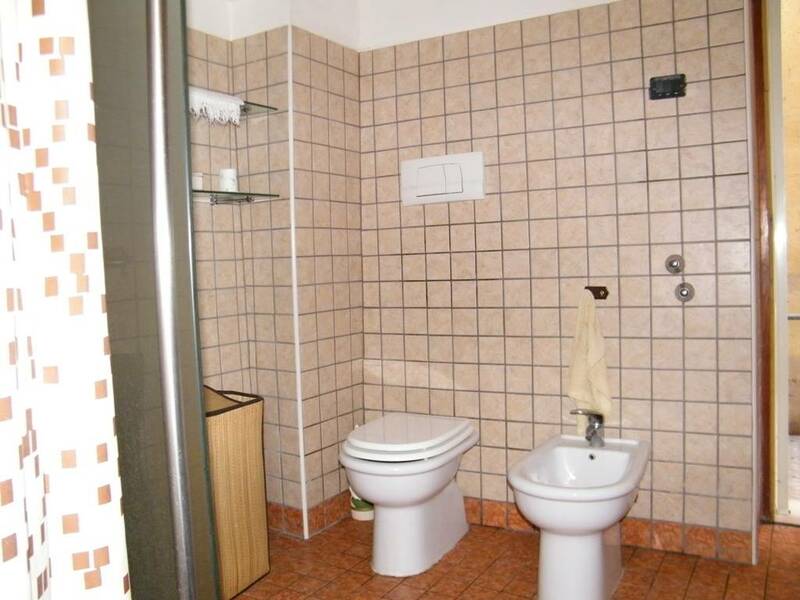 The bathroom with a large shower, is accessed from the bedroom. 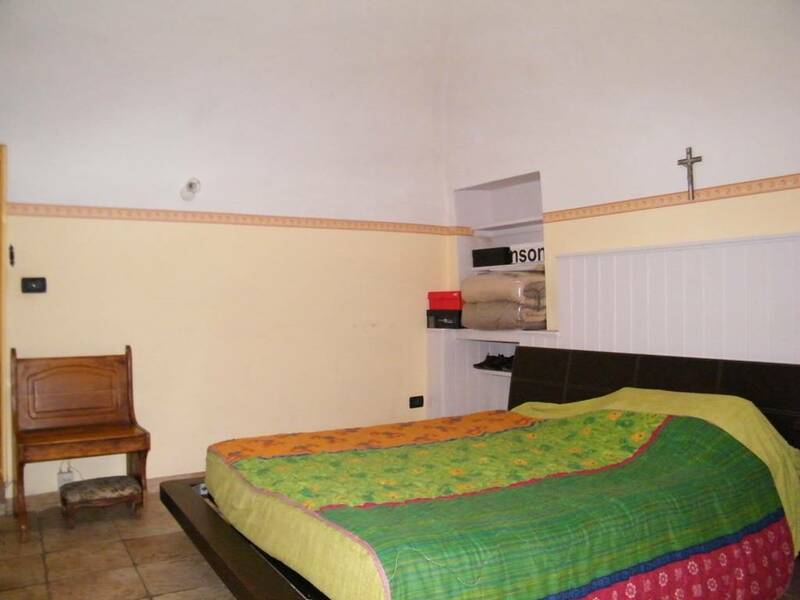 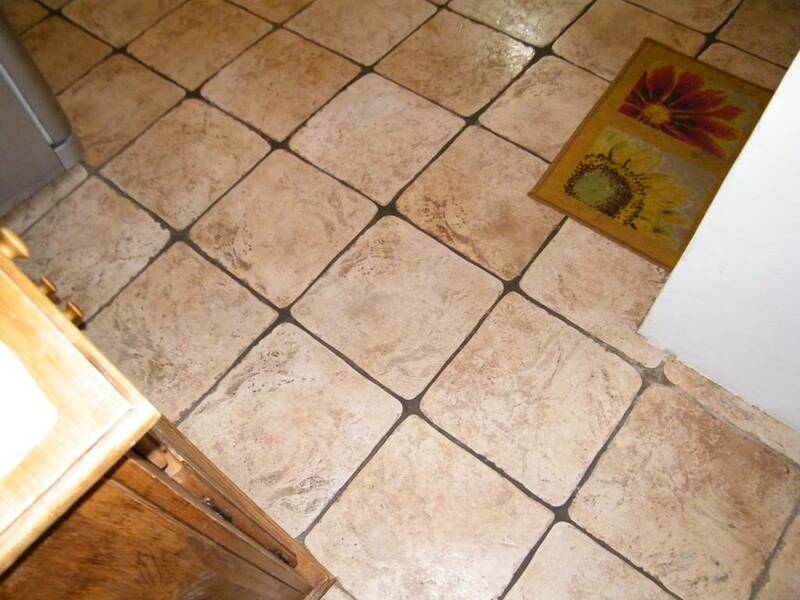 The apartment has been completely renovated, with new floors, new electrical, water and gas system, ready to move in. 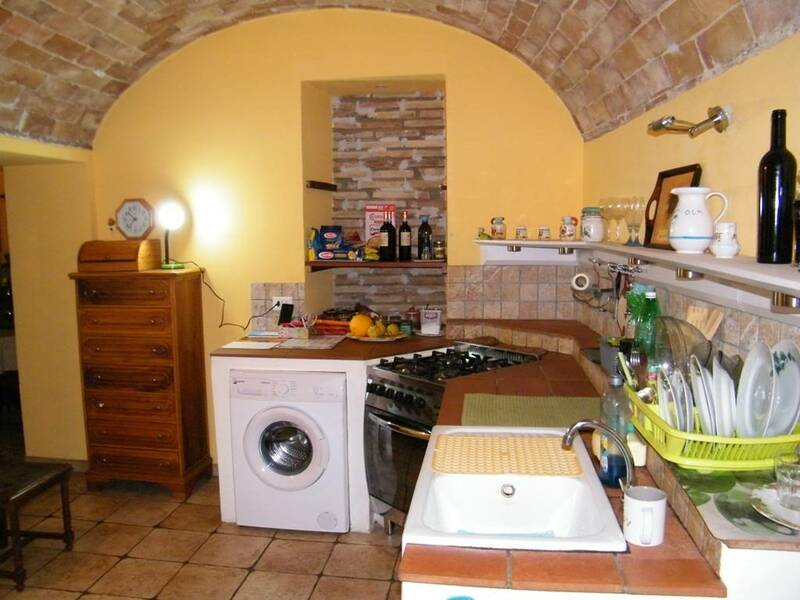 Natural gas operated central heating, proposed for sale partially furnished.